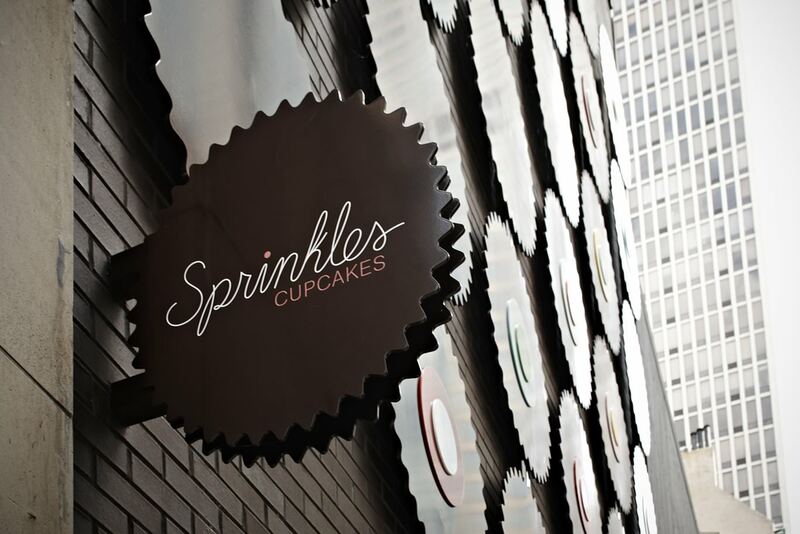 When Beverly Hills-based Sprinkles opened its first retail location in Chicago, the gourmet cupcake bakery chose an elegant stretch of Walton Street in the city’s Gold Coast for the site. 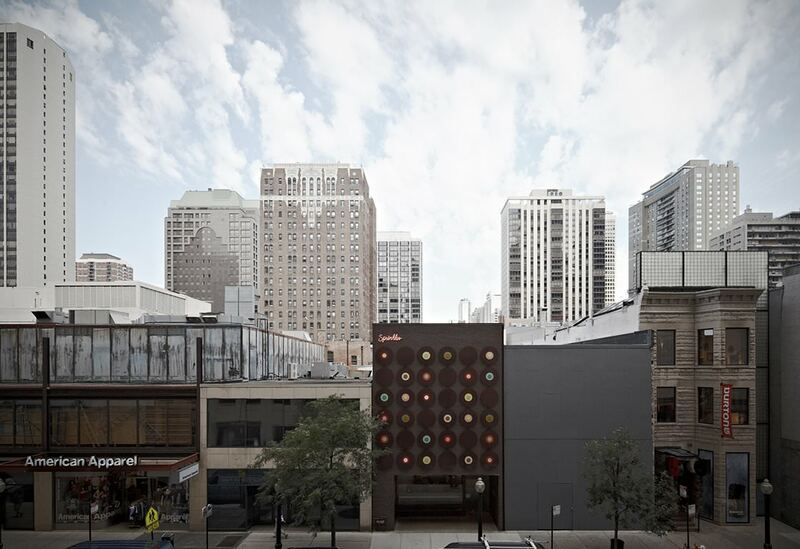 Once a single-tenant retail building, the structure was subdivided. 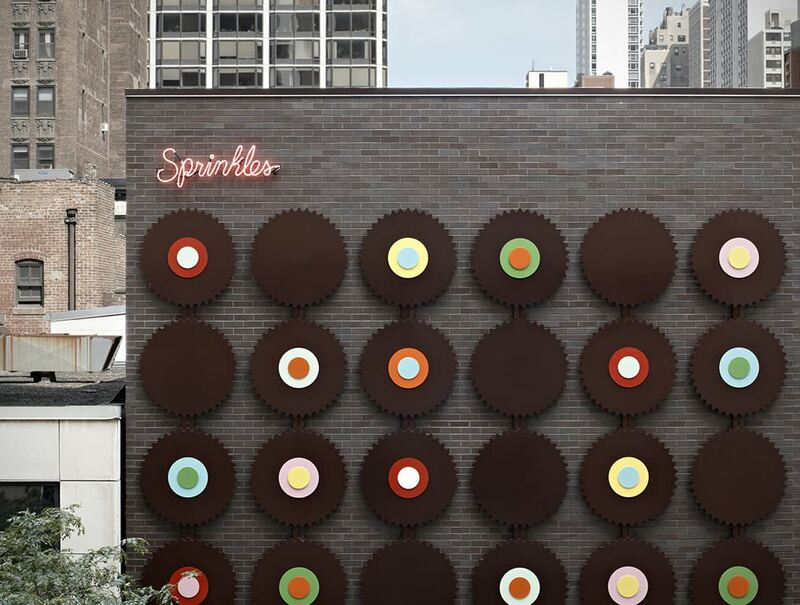 A new masonry and glass facade was created that served as a backdrop for Sprinkles’ iconic circle motif that dots its cupcakes and is referenced in the exterior ornament. Floor infill was required because the existing space had been a double-height volume. 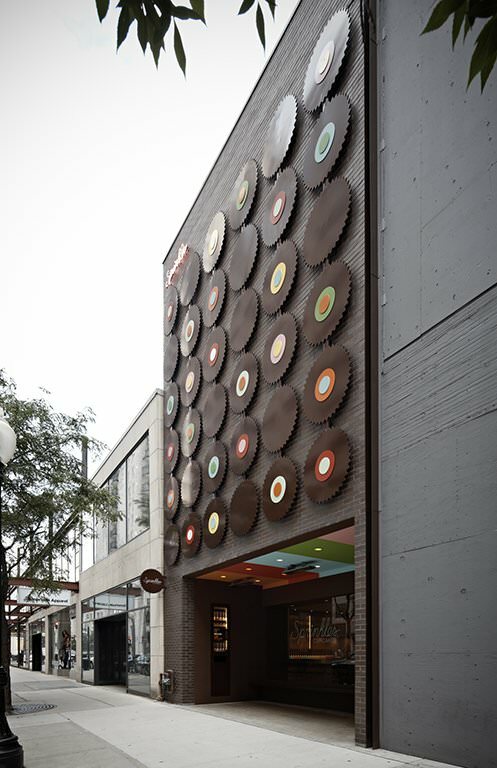 A new entrance was designed that allowed for transparency and light into the cafe, and a showcase for baked goods to attract passersby.